We offer clean and environmentally friendly gasification technology to convert waste biomass into clean combustible gas (called producer gas or syngas) using modular Gasifier Systems. After generation syngas is used in one or more syngas engine power generating sets. 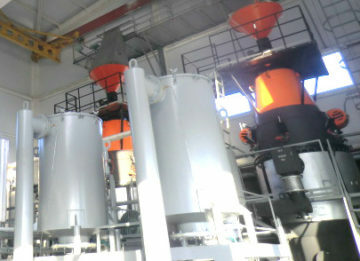 One or more gasifier systems coupled to one or more power generating sets with some peripheral equipment form the modular Gasification Power/CHP Plants. We recommend installing the plants as close as possible to the point of origin of biomass waste, for example at wood or agro processing companies, to utilise process waste, reduce transportation cost, utilise staff available on site and generate power and heat on site or sell to the grid.